So you’re learning to drive for the first time. Fantastic! A learner’s permit will allow you to drive on the road with an experienced driver (they must have a full licence) before you take the drivers test. To get a Learner’s Permit, first you need to be at least 16 yrs of age and you must pass the Learners Permit Knowledge Test. The learner permit knowledge test is based on all four chapters of the Road to Solo Driving handbook. And what’s great is you can download the 4 chapters of the book here – https://www.vicroads.vic.gov.au/licences/your-ls/your-learner-handbooks. How cool is that! The driver knowledge test questions (it’s a 32 question test) are answered via computer at any VicRoads Customer Service Centre. There’s one right here in Geelong at 180 Fyans St, South Geelong, just down past the Geelong footy ground, and then turn left into Fyans St.
You’ll need to get at least 25 questions right (78%) to pass. A pass result is valid for 12 months. 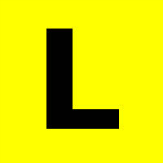 When you are driving a vehicle using a learner permit, you must display L plates. 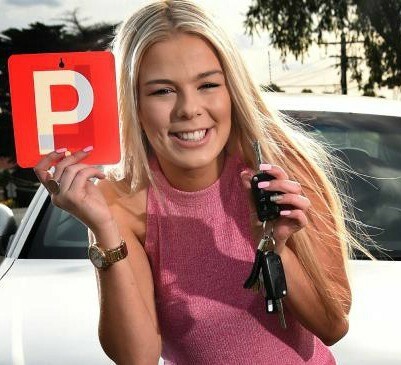 Get more info at the VicRoads website, which has heaps of information about how to get your Learner’s Permit. The best way to pass the Vicroads learner’s test is to read the most recent edition of the Road to Solo Driving handbook. 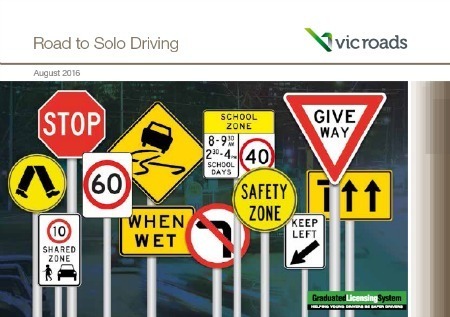 The Road to Solo Driving handbook can be found online at the VicRoads website. You can also find the handbook at the RACV website and various newsagents. The practice learner permit driver knowledge test is very similar to the real VicRoads learner’s test. There are 32 questions in the road rules test (same as the real test) and you get different questions every time. You need to get 78% in the learners permit test to pass. 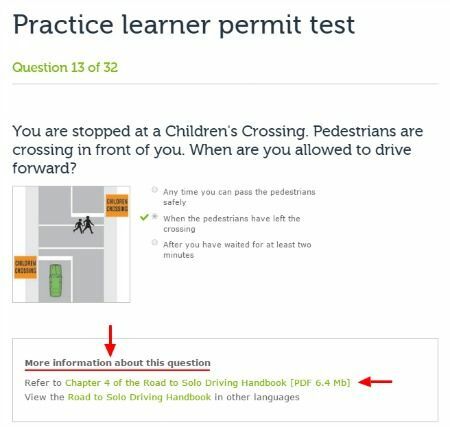 What’s great is that if you get a wrong answer (in Feedback Mode) you get a link straight to the chapter in the Road to Solo Driving handbook where the information about that question is covered. So it’s a really good way to see how you’re going and calm those nerves! There are 2 types of practice tests. In “Feedback Mode”, the correct answer and further information is shown after you have answered each question. In “Practice Mode”, your result is shown after you have answered all the questions. Done all that? Great! 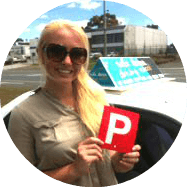 Now you can book some driving lessons with Zed – call 0408 593 055 and get your probationary driver licence! “I had my driving lessons with Safer Driver Driving School.